There's been plenty of turmoil atop Fortune's annual Most Powerful Women list. Meg Whitman crashed the party, coming in at No. 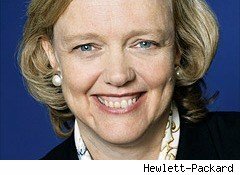 9 when she became CEO of Hewlett-Packard. (As CEO of eBay, she was on the list from 1999 to 2007.) Longtime MPW Carol Bartz lost her job as CEO of Yahoo -- and her place on the list -- while Oprah Winfrey fell 10 spots to No. 16, her power and influence in flux without the platform of her eponymous syndicated talk show. Perhaps the biggest change of all? 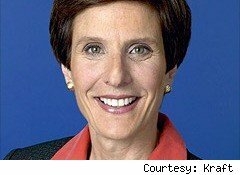 Kraft CEO Irene Rosenfeld takes the No. 1 position from PepsiCo chief Indra Nooyi, who topped the list for five years. This ranking is all about power, and while Nooyi runs the bigger company, Rosenfeld's decision to split Kraft into two entities shows she has it and knows how to use it. But for all these high profile changes, there are many more women making big moves with little fanfare. Wal-Mart's Rosalind Brewer (No. 23) has an important new job, running all of the retailer's stores in the East. In addition to Whitman, there are four other females who became CEOs of Fortune 500 companies since our last power ranking. That brings the total number of women CEOs in the Fortune 500 to 15 -- up from just two on our list when it debuted in 1998. Rosenfeld made a big show of power this year with her decision to split Kraft into two companies, a reversal of her previous strategy of expanding through acquisitions (like the 2010 purchase of Cadbury). Her new role hasn't been decided but she plans to remain CEO until the deal's expected close in 2012. On Nooyi's watch, PepsiCo has forged further into nutrition-focused products, a business that the company is trying to grow to $30 billion in 2020 from about $10 billion in 2010. But Nooyi has been criticized for taking her eye off the core North American soda business, which has lost share to Coke. In May she completed her biggest move yet with the $6.4 billion acquisition of Danish food ingredient producer Danisco, shifting the chemical company more toward food and nutrition. 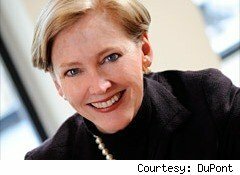 Analysts credit her with DuPont's turnaround in the stock market: Shares have returned 99%, vs. 37% for the S&P, since she took over in 2009. Braly's reach is unquestionable: With 34 million members, health insurer WellPoint touches one in nine Americans covered. Now she's tapping into the Medicare market with the purchase of senior health care provider CareMore. Her challenge: translating customer growth into higher profits. As Avon marks its 125th year, sales have risen to nearly $11 billion. Investments abroad have paid off, with double-digit sales growth in most regions, though the stock is flagging. 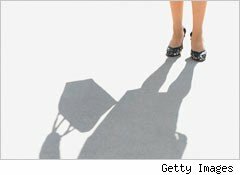 But Jung, who has run Avon for 12 years, is the longest-serving woman CEO of a Fortune 500 company, and she sits on the Apple and GE boards. Rometty may be Big Blue's next CEO. 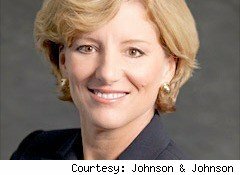 A 30-year IBM veteran, she added marketing and strategy oversight to her role last year. 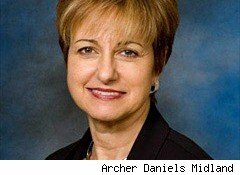 The move helps position her as one of the company's top two candidates to replace current CEO Sam Palmisano when he retires. 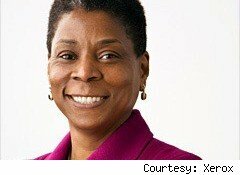 Last year she closed the company's biggest deal ever -- the $6.4 billion acquisition of Affiliated Computer Services, which helped increase profits 25%. The ACS deal, once ballyhooed by investors, has been the crux of Burns' strategy to grow the services side of the business, now half of Xerox's revenue. She's back! In late September the losing California gubernatorial candidate -- and former No. 1 MPW -- was named CEO of HP, America's largest tech company by revenue. While her ascent to the role is a sure sign of her power, it remains to be seen if she can fix the computer maker and bring order to its dysfunctional board. In December longtime J&J pharmaceuticals chief McCoy took on the health giant's troubled consumer business, along with corporate affairs. She oversees 60,000 employees. 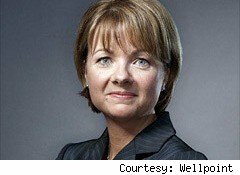 CEO Bill Weldon also named her vice chair, fueling fresh speculation that she's his likely successor.